Like many people, I’ve unwittingly appeared in several online photos that have made me briefly question whether or not the internet is actually a good thing. Such embarrassing, often drunken moments captured for all to see can make you want to destroy the entire web, and that’s exactly what one Chinese man tried to do. 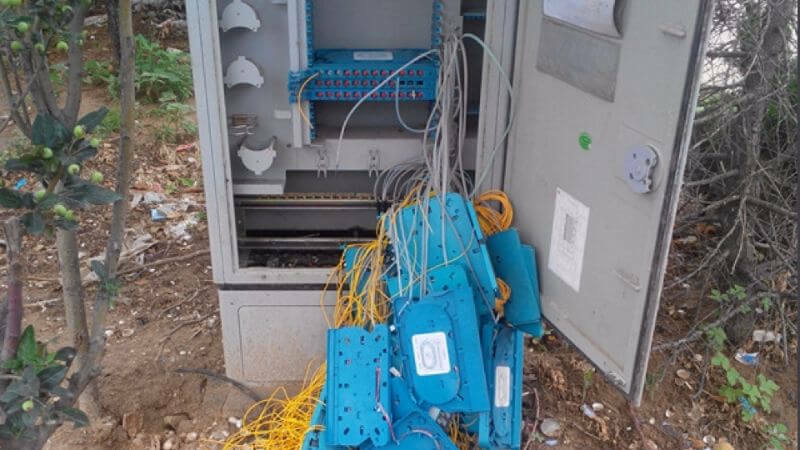 According to reports from multiple Chinese websites and noted by The Nanfang (via Kotaku), a man from Weifang, a city in China’s central Shandong province, was so worried about 'humiliating' photos of himself appearing online that he decided to dismantle the local optical networks in his neighborhood. The man, who is only known as Liu, had arrived in Weifang looking for work. Last Summer, he participated in a neighborhood square dance, an activity that’s often enjoyed by older women. As he was dancing away, Liu noticed people in the crowd were laughing at him and taking photos. After the dance, Liu lived with the worry that the pictures would end up online. So he decided that the best way to prevent people seeing his dancing was to destroy four nearby optical cable network receivers. The Nanfang points out that Liu had only an elementary school education. Police arrested Liu on August 19 for causing over 100,000 yuan ($15,000) in damages. The Nanfang reports that it hasn’t been able to locate any photos of Liu’s dancing, but there are plenty of other images and videos of other men enjoying the activities from that night, none of whom have taken it upon themselves to destroy the local physical internet infrastructure.